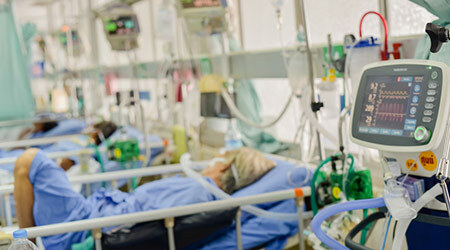 Hospitals and healthcare systems face escalating pressures to control costs, while still improving the patient experience. However, achieving this goal is no easy feat – as the two objectives seem to contradict each other. Tech-savvy organizations, though, are finding untapped opportunities in the supply chain. By connecting the dots between supply costs and patient outcomes, modern software helps turn basic procurement into strategic initiatives that are data-driven and patient-focused. Advanced solutions are the enablers. Artificial Intelligence (AI), Machine learning (ML) and augmented analytics help organizations re-think the vendor network, better understand inventory needs and delve into relationships between supply strategies and patient outcomes. It is a win for everyone, from cost-conscious CFOs to sage heart surgeons and emergency patients. Supplies have surpassed labor as the top cost for hospitals and healthcare centers. It is a broad category covering specialized and complex items used in patient care, as well as the mundane facility and administrative supplies such as toilet paper, soap, pens and paperclips. It was estimated that $63.7 billion was spent on nondurable medical products over the course of 2017, with nearly as much — $53 billion — allocated to durable medical equipment. These staggering numbers have generated attention and set off calls for reform. Many outdated and misguided practices, once prevalent, are now being phased out. Interoperability. Today, interoperability is bridging clinical and operational systems, making it possible to analyze relationships between investments, inventory, physician input, and day-to-day clinical care. It is now clear that convenient availability of the right supplies in the right place impacts a care provider’s efficiency and effectiveness. With interoperable systems and greater visibility, physicians, too, can be more engaged with setting consistent standards for care. Economies of Scale. The increase in mergers and acquisitions in the healthcare industry has given organizations greater buying power and economies of scale when they consolidate their supply chain processes. This requires new thinking and a focus on vendors that can scale to meet demands across multiple regions and specialties. It also calls for standardizing purchasing criteria and achieving consensus from numerous physicians and nurses, each likely to have preferred brands. New Job Descriptions. Healthcare facilities are struggling to recruit and retain skilled personnel, particularly nurses. To combat the shortage, many organizations are reviewing typical job descriptions and breaking off less technical tasks, like collecting supplies, and assigning them to technicians or aides. Automation. Automation can streamline warehouse tasks. When a physician orders a procedure, the request for necessary supplies is sent to the centralized supply center or warehouse. 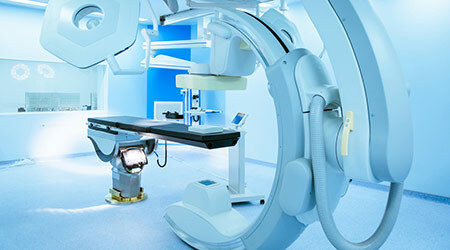 This is where digital technologies, like robotics, Internet of Things (IoT) connected conveyor systems, smart material handling equipment, and self-guided vehicles help collect the right items and deliver the appropriate kit to the patient room, without the nurse needing to leave the patient’s side. Physician Engagement. According to a CAPS Research Report, 83 percent of organizations identified “physician alignment with supply chain goals” as one of most important supply chain issues. High-performing healthcare organizations tend to involve physicians early and often in supply chain decision-making processes. Data-driven physicians can use system insights to help them select the medications proven to produce clinically equivalent outcomes at a lower cost. Providing accurate information about supply options, and tying those selections to patient outcomes, can strengthen physician decision-making, standardize criteria and encourage physicians to be involved in supply chain strategies for clinical care. Modern supply chain solutions play a critical role in helping hospitals and healthcare systems build a customer-centric supply chain, which saves money and improves the patient experience. Without technology, brigades of mathematicians and business analytics would be needed to crunch numbers and hypothesize outcomes. Now, advanced solutions make managing the supply chain much easier and effective. The ease of use and automation frees time so the supply chain team can be more strategic, proactive, and fully engaged in optimizing opportunities. Patient-centric. 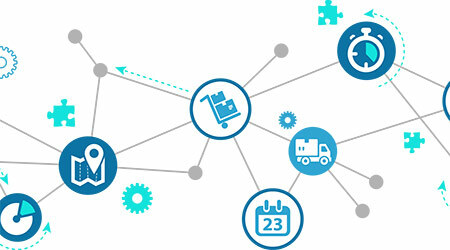 The interconnected supply chain network provides a global picture of vendor deliveries, as well as views by the region, facility, floor, or single patient. Procedures planned for a patient require supplies, from disposable syringes to trauma kits and crash carts. Having the right supplies in the right places helps to ensure patients receive attentive care, without delays caused by a poorly stocked supply room. Outcome-tied. Patient outcomes, tracked by codes, can be tied to supplies and procedures, creating a valuable database that can help physicians prescribe treatment based on historical success rates. Using AI, machine learning, and augmented analytics, the system can provide insights, forecasts and make recommendations — all driven by data science. Dynamic. The modern supply chain is a global network keeping a real-time view of commerce, sensing the flow of resources and goods as they move through a series of live control points. The network captures and communicates observations from IoT network-based sensors and data collected from partners, suppliers, shipping agents and third-party logistics companies. Smart. Leveraging AI, the connected network can monitor the state of supply purchases and delivery expectations. Machine learning helps calculate if supplies will arrive on time to maintain safety stock levels of critical supplies. 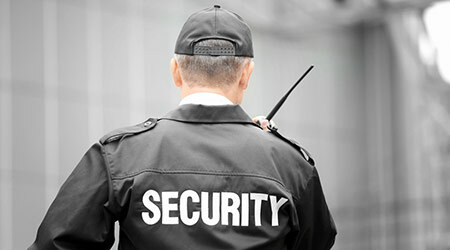 When a risk or anomaly occurs, the issues are flagged for further intervention. Collaborative. 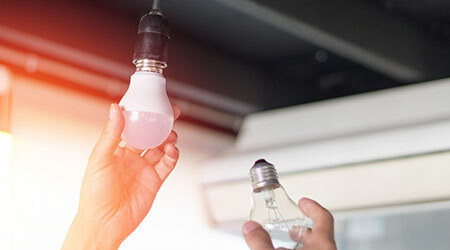 With direct connectivity to manufacturers, distributors, warehouses and third-party logistics, the networked supply chain can take proactive steps to address any potential issues before a negative impact becomes severe. Early intervention is the key. The network uses collaboration tools to share live, accurate, and context-rich data to decision makers and stakeholders. Predictive. Machine learning elevates the efficiency of the networked system further, enabling it to automate reaction based on predictive and prescriptive analytics. Augmented analytics apply algorithms and data science to anticipate the next likely data point, giving stakeholders the ability to predict the likely future or outcome, such as when a shipment will arrive. Patient trends can also be projected, such as when the flu season will spike and therefore, when more related supplies should be purchased. Self-driving. The network becomes more accurate as it learns from patterns and draws from more data points and variables. Network intelligence empowers supply chain teams and end-users to be more productive, as it enables timely decision making and provides continually updated patient outcomes. The supply chain will evolve to a self-learning model, becoming more efficient at maintaining stocking levels. Self-healing. 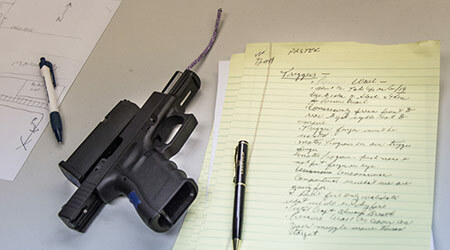 Armed with advanced technology, the network can use automated workflows and event triggers to correct or “heal” issues that need prompt attention. For example, extreme weather can make deliveries difficult and ground transportation bottlenecks may jeopardize critical or time-sensitive deliveries. Multi-dimensional. The patient-centric supply chain can become a continually evolving network, which incorporates patient outcomes, volatile pricing, fast-changing inventory levels, and shifting opinions of physicians as it analyzes influencing factors and makes recommendations. Fiscally Sound. Predictive planning of supply usage allows procurement teams to negotiate long term rates from suppliers and set up delivery to match usage, economizing cash flow and use of warehousing space. Timing when orders are placed and when shipments are received can also help strategically manage capital funds. Thus synchronizing month-end bank statements with stakeholder expectations and prolonging balances in interest-bearing accounts. Reliable. Continuous monitoring of the network helps to reduce surprises and costs. For example, IoT sensors on cargo containers, trucks, and pallets can identify when the supplies have been exposed to out-of-tolerance temperatures. Additionally, extreme weather conditions can trigger deliveries to be rerouted or paused, as many pharmaceuticals are temperature-sensitive, and precision medical equipment can be averse to excessive jarring or vibration. Some supplies may also be classified as hazardous, necessitating visibility into available detour routes. As healthcare organizations strive to improve the patient experience while keeping costs down, the supply chain can become an important, strategic tool. Technology can help manage the data, track planned deliveries and make predictions about supply needs based on historical trends. The supply chain can also focus on improving outcomes, helping caregivers follow required safeguards for prescribed best practices. More than ever before, implementing a patient-centric supply chain will help organizations deliver results and value. Cory Turner is the Director of Industry and Solution Strategy for Infor Healthcare.